Over the last four decades, Stäubli Electrical Connectors has become a synonym for safe, high quality test accessories worldwide. Whether for testing, measuring or diagnosis of components and systems, our innovative test accessories offer you the performance, dependability and repeatability you need. Thanks to our diverse operations and close collaboration with leading manufacturers of measurement equipment, we are able to provide the most efficient and sustainable solution for every application in electrical testing and measurement. 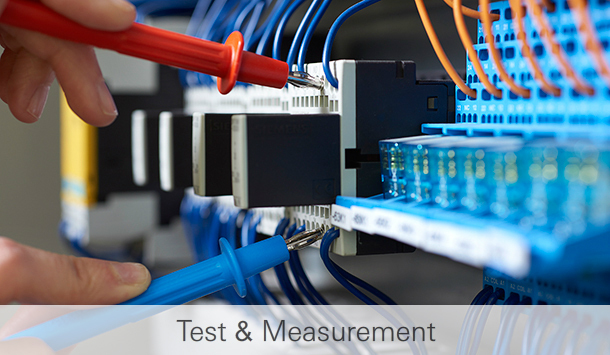 Our Test & Measurement product family includes our complete line of insulated test accessories that meet and exceed today's stringent safety requirements, our test accessories for high-frequency engineering, as well as our wide range of highly flexible wires.